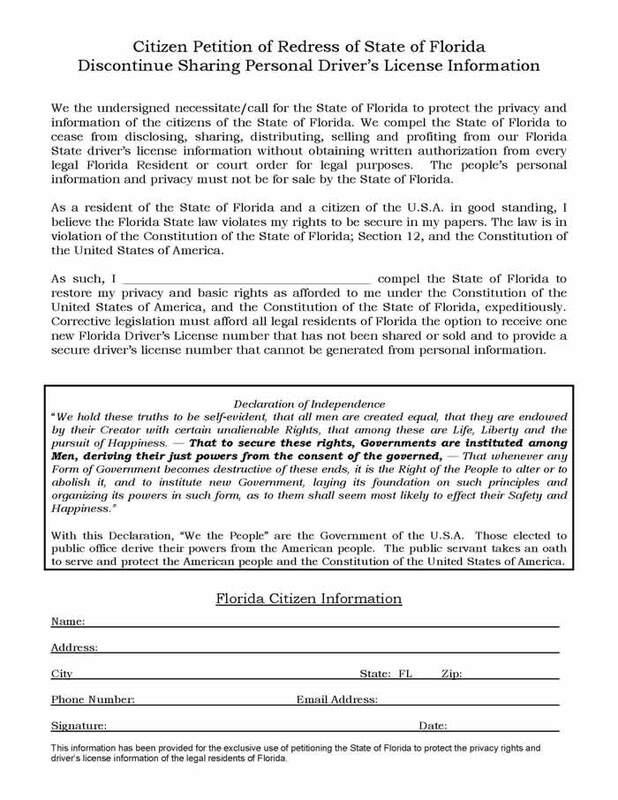 Petition the State of Florida to protect your privacy and personal infomation (see petition below). Click here for [printable version]. Fax your signed petition to 407-208-9350 or mail it to American Statesman Charles Klein, 3212 Flowertree Rd, Belle Isle, FL 32812. Stand up for your rights! Sign Petition today!